Just wanted to check in briefly today about the great local theatre that’s happening all around us! 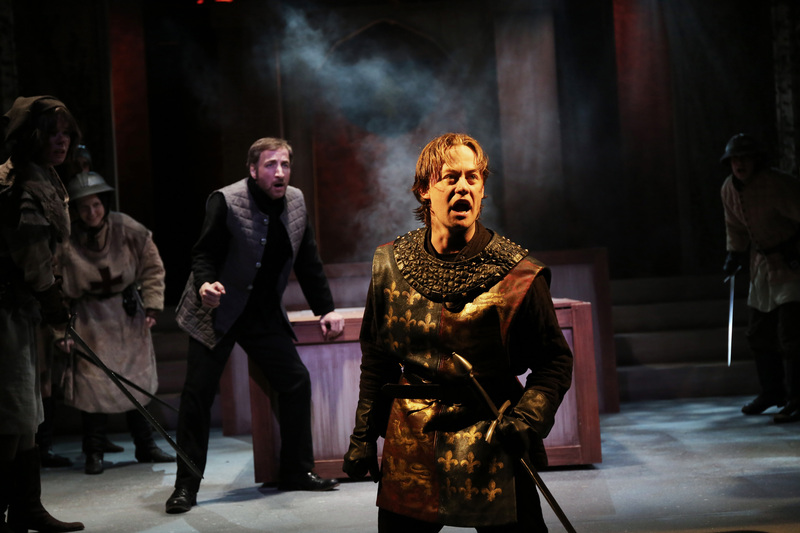 I saw the latest from Cincinnati Shakespeare Company last week; it was a preview performance so I’m hesitant to offer up much critique however I will say this: HENRY V features cinematic lighting, dramatic sounds, and majestic staging to bring history to life. Justin McComb is a perfectly cast King Henry and I enjoyed the in-your-face moments of this bombastic history play. If this is your thing, then click here for tickets. Brian Isaac Phillips has been super busy, not only directing the above mentioned HENRY V, but starring in Ensemble Theatre’s OUTSIDE MULLINGAR. This sweet romantic comedy features four of the best performers in town and is directed by Ed Stern. It’s a must see; thankfully they added more performances! Yesterday I caught Untethered Theatre’s latest production, THREE DAYS OF RAIN. It’s a little bit of a departure from their typically edgy, subversive work. There’s a sweetness, while still having that Untethered-feel. Newcomer Adam Jones is a nice addition to the ensemble and I’m a big fan of MaryKate Moran and Carter Bratton, of course. I’ll have a full review up soon but you should absolutely get your tickets now. Click here for more info. Tonight, you can catch a reading of the comedy/drama INDEPENDENCE by Lee Blessing at Below Zero Lounge. I saw it last night at Know Theatre (produced by Unity Productions – Jon Kovach and Billy Chace) in collaboration with Queen City Queer Theatre Collective. It’s a fascinating women’s showcase featuring four really strong performances. It’s free so you should totally check it out. There’s so much more to see and do right now . . so be sure to check out Rob Bucher’s BEHIND THE CURTAIN CINCINNATI for more info on all the great shows in the Tri-State! I’ll see you Thursday night at the opening of CIRCLE MIRROR TRANSFORMATION at the Playhouse!